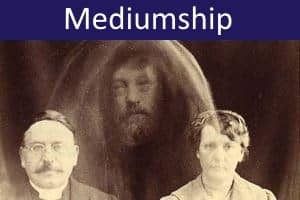 Mediumship refers to the apparent ability to act as an intermediary between the living and purported discarnate entities. These entities may be gods, angels or other spiritual beings, the spirits of ancestors or other deceased persons, or extra-terrestrial or extra-dimensional beings. Today, the term ‘mediumship’ is generally reserved for presumed communication with deceased persons, whereas the modern term ‘channelling’ is more commonly applied to apparent communications from spiritual, extra-terrestrial, or extra-dimensional beings. Mediumship has its origins in shamanism, inspired oracles, ‘spirit possession’ and priesthood. The common feature in these phenomena is that the normal personality of the shaman, oracle, possessed individual, priest or priestess is temporarily set aside, seemingly to allow another intelligence or personality to be expressed. In this sense, there are also important parallels with cases of so-called ‘multiple personality’, although these are usually understood as having a psychological rather than supernatural basis. 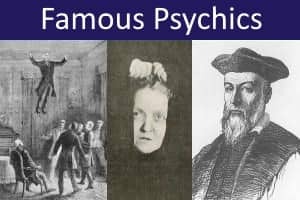 While mediumship has been reported in all times and cultures, it came to prominence during the Victorian period with the rise of Spiritualism in America and Europe. 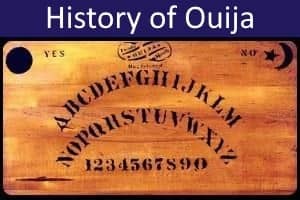 In traditional Spiritualist belief and practice, the medium is someone who passes on messages from deceased persons to those who attend their séances. Often the sitters are relatives or friends of the deceased, and the messages are intended to offer comfort, support, or advice to the bereaved, as well as giving insights into the afterlife. 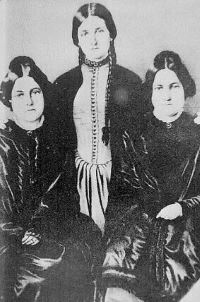 Spiritualism as a Western movement began in the late 1840s, when the Fox Sisters heard rapping sounds at their house in Hydesville, New York. The raps would respond to questions and the sisters developed codes to facilitate communication with the ‘spirit’, who claimed to be a murdered peddler, buried in the house. Such was the interest in these phenomena, that the Fox Sisters began giving public séances and demonstrations. Many other ‘mediums’ also found they could produce these phenomena and began holding their own séances. Within a few years, the craze had spread across America and Europe, and Spiritualist organizations were being formed. Spiritualism also became aligned with certain Christian beliefs about the afterlife, and some organizations began styling themselves as Spiritualist Churches. 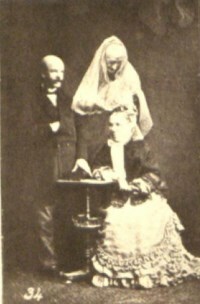 Spiritualism was at its height in the years 1860-1900. It also experienced a resurgence in Europe during and after World War I, when millions were grieving the loss of loved ones. From the 1930s onwards, interest in Spiritualism waned. Partly this was due to many mediums having been exposed as fraudulent. While Spiritualism in America and Europe is in decline, a related ‘Spiritist’ religion remains widely followed, especially in Latin American countries including Cuba, Argentina, Puerto Rico and, most notably, Brazil. Spiritism has its foundations in the work of the French educationalist Hippolyte Léon Denizard Rivail (1804-1869), writing under the pseudonym Allan Kardec. Based on his own investigations of mediums and séances, Kardec’s books outline a sophisticated philosophy of spirits, the spirit world, mediumistic communication, and life’s purpose. Mediumistic phenomena can be conveniently divided into physical and mental categories. Physical phenomena are those that affect objects or material processes that can potentially be recorded using physical equipment. 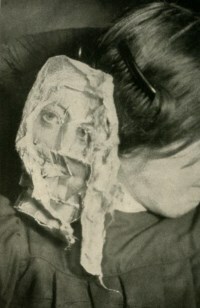 They include raps, noises, and other sounds, ‘direct voice’ (discarnate speech), mysterious lights and other visual effects, smells, touches, sudden breezes or temperature changes, spirit writing, ectoplasmic materializations, apports and deports (object appearances or disappearances), teleportation, object deformations, and levitations of objects or persons. While physical phenomena sometimes involve the communication of specific information (e.g., using coded raps, direct voice, spirit writing, or apports of personal significance), there often seems little purpose to these phenomena beyond proving the spirit’s presence. 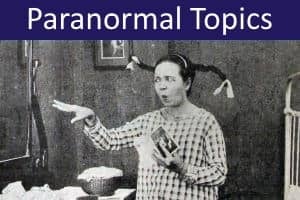 Typically, physical mediums (those specializing in physical phenomena) hold their séances in total or near darkness – a cause of much scepticism among the scientific community. Mental phenomena involve the communication of information in ways that do not violate physical laws. 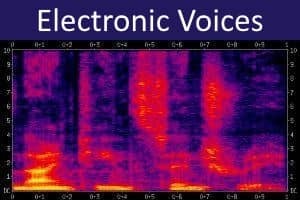 They include clairvoyance, clairaudience and clairsentience (‘seeing’, ‘hearing’ and ‘sensing’ spirits), Ouija Boards, automatic writing, psychometry (object readings) and ‘indirect voice’ (speech that uses the medium’s vocal apparatus). Usually mental mediums hold their séances in normal light. In the early days of Spiritualism, physical phenomena predominated. Today, physical mediumship is rare, with most mediums specializing in mental communication. The decline in physical mediumship is at least partly explained by the exposure of many physical mediums as frauds, as well as the development of better ways for detecting fraudulent activity (e.g., infrared cameras in the dark). Physical and mental mediumship are related to another important distinction – between trance and non-trance mediumship. A trance medium is one whose séances are conducted when he or she is in an altered state of consciousness. The trance state can vary in strength or depth. Some mediums experience a very light trance, akin to a sense of feeling ‘overshadowed’ by a spirit presence, in which they retain their normal awareness and faculties. At the other extreme, deep trance can involve loss of consciousness, insensitivity to pain, and fundamental changes in personality, speech and behavior that are reminiscent of states of possession. 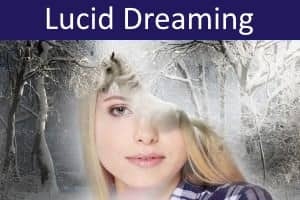 While mental mediumship is commonly associated with light trance or overshadowing, physical mediumship, especially in its more dramatic forms (such as ectoplasmic manifestations), generally occurs when the medium is in deep trance. With deep trance, precautions are often needed to ensure that the medium enters and exits the trance state safely and comes to no harm during the séance. In non-trance mediumship (sometimes called ‘clairvoyant mediumship’), the medium is fully awake and behaves and talks normally. Messages are simply relayed to sitters as if the medium was in contact with the ‘spirits’ using a psychic telephone or video link. Clairvoyant mediumship is almost always of the mental type, although physical phenomena can occasionally be reported. Many mediums have one or more regular contacts in the spirit world who act as intermediaries for other communicators. These contacts may be dead relatives or friends, or other deceased individuals (including famous historical persons). 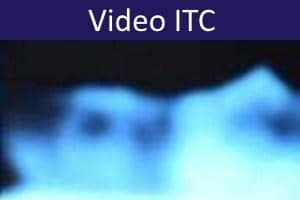 In some cases, the spirit contact is a clearly fictitious personality, or may claim to be an extra-terrestrial or extra-dimensional being. In Spiritualism, regular contacts or communicators are often referred to as the medium’s ‘controls’, although this term is more appropriately applied to trance mediumship. As well as communications transmitted through their regular spirit controls, some séances are seemingly gate-crashed by other personalities. These ‘drop-in communicators’ often have unexpected, new and relevant information. For this reason, they are of special interest to researchers. The sceptical and psychological theories offer explanations for mediumistic phenomena that imply no paranormal activity is involved. Spiritualist and parapsychological approaches, on the other hand, accept that there are paranormal features to be explained. Sceptics presume that all mediumistic effects are the result of deliberate fraud, unwitting deception or self-deception, faulty perception, or ignorance and misinterpretation of natural phenomena. Starting from an ideological position of scepticism, they set out to debunk and expose mediums by discovering trickery, or by proposing natural explanations for their apparently supernatural feats. While sceptics have been successful in exposing many fraudulent mediums, they often simply assume that mediumistic phenomena have a natural explanation without necessarily considering all available evidence. Many mediumistic phenomena can suggest a psychological or psychiatric explanation. Most psychologists recognize the existence of dissociative conditions in which a person becomes detached from their usual sense of self and reality. Mediumistic trances can be interpreted as induced temporary states of dissociation in which a secondary (control) personality is more easily expressed. 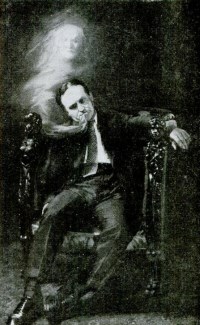 Cases in which the medium seems to show unlearned abilities or knowledge can sometimes be explained in terms of cryptomnesia (‘hidden memory’) in which previous learning, long forgotten, resurfaces under séance conditions. Mediums may also be fantasy prone, or able to access the creative potentials of the unconscious, or be particularly adept at weaving meaningful and believable narratives. The standard Spiritualist explanation for mediumship is that, after physical death, an individual’s personality survives largely unchanged, and continues to live in a spirit world that closely resembles earthly existence. Furthermore, many departed souls seek to communicate with the loved ones they have left behind, if only to provide reassurance that death is not the end. The medium acts as an intermediary between the two worlds, facilitating communication or physical interaction between the living and dead. 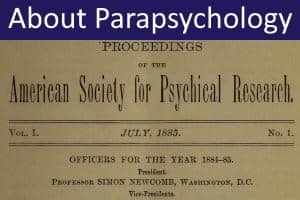 While some parapsychologists accept the Spiritualist interpretation, others propose alternative explanations for genuinely paranormal mediumistic phenomena. 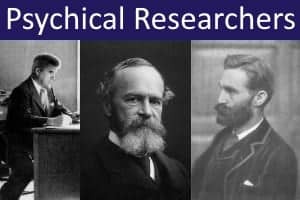 One of the problems with the Spiritualist hypothesis is that it does not readily explain cases in which the supposed control personality is an obvious fiction, or where the entity channelled claims to be an extra-terrestrial or extra-dimensional being. 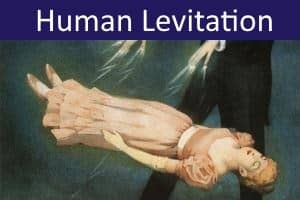 The physical phenomena of mediumship such as noises, lights, teleportation and levitation, can be explained by parapsychologists as manifestations of the medium’s psychokinetic powers, rather than the ‘unseen hands’ of spirits. 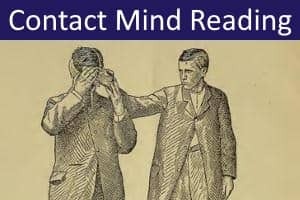 Mental phenomena, in which the medium reveals information about sitters or communicators, can also be explained as the result of telepathy or clairvoyance, without recourse to a belief in personal survival. Researchers sometimes try to eliminate telepathy between the medium and sitter by using ‘proxy sittings’ in which another person stands in for the intended recipient. However, some parapsychologists attribute the success of proxy sittings to ‘Super-ESP’ in which the medium is able to access and collate telepathic or clairvoyant information from a number of sources, including the intended recipient, despite their being located outside the séance room. Mediums often exhibit psychic tendencies in childhood. 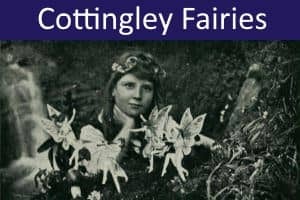 They may also have been rather solitary children, notable for an unusual capacity for self-absorption, daydreaming, fantasy, and playing with imaginary friends. 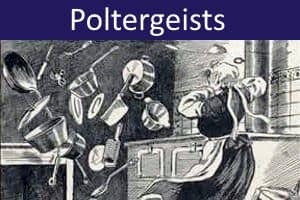 Physical mediums are often people who were the focus of poltergeist activity as children and who learned to channel and control these psychokinetic outbursts through developing mediumship abilities. While many mediums are self-taught and self-appointed, others learn through apprenticeship with an established medium, or undertake formal and accredited training with a Spiritualist college, or a school of psychic development. Such training involves both theoretical and practical study, and typically involves learning skills in automatic writing, psychometry, clairvoyance and clairaudience, and channelling. The Spiritualists' National Union (SNU) is the world's leading Spiritualist organization and offers accredited courses in mediumship. Their principal training centre is The Arthur Findlay College, based at Stansted Hall in England. Leonard, T.J. (2005). 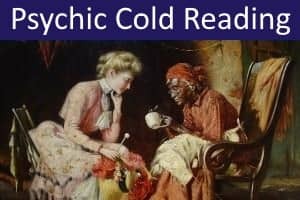 Talking to the Other Side: A History of Modern Spiritualism and Mediumship. iUniverse. Weisberg, B. (2004). Talking to the Dead: Kate and Maggie Fox and the Rise of Spiritualism. HarperCollins.